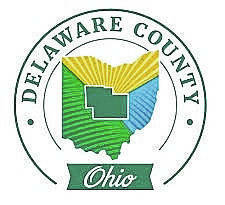 The Delaware County Board of Commissioners is seeking to appoint two members to fill seats on the Delaware County Board of Developmental Disabilities. The appointed individuals must be residents of Delaware County, citizens of the United States, and must be interested and knowledgeable in the field of developmental disabilities and related fields. For this particular round of appointments, applicants must be receiving or have an immediate family member eligible to receive or currently receiving services from the Delaware County Board of Developmental Disabilities. The commissioners are seeking to appoint two citizen members for terms that will begin Jan. 1, 2019 and end Dec. 31, 2022. • Employ and supervise a qualified superintendent. Completed board appointment applications must be received through the Applicant Tracking portal no later than 11:59 p.m. on Sept. 14.